Nowadays allergies are very common problem, especially among children. People who suffer from allergies almost all the time are dealing with such problems as running nose, watery eyes and sneezing. In order to minimize the number of allergy triggers you need to know what causes the allergies. Very often dust mites are causing the allergic symptoms. In order to get rid of them, sprinkle special dust mite killing powder. If you have rugs at the office, you need to pay special attention to them. Usually they are full of dust, and you need to clean them on a regular basis, in order to minimize allergic symptoms of your workers. If you are a cleaning person, and you know that you have allergies, you need to wear gloves and a mask when you dust, vacuum, in order to limit your exposure to allergens and irritants. And, of course, if you have allergies, you need to try using green or ecologically friendly cleaners that do not cause allergies. Most of the manufactured cleaners and detergents contain strong and harsh chemicals. But it is understandable that the cleaner the area is the less dirt, dust and germs are accumulated there. As a result, you breeze easier, no sneezing or coughing occur! 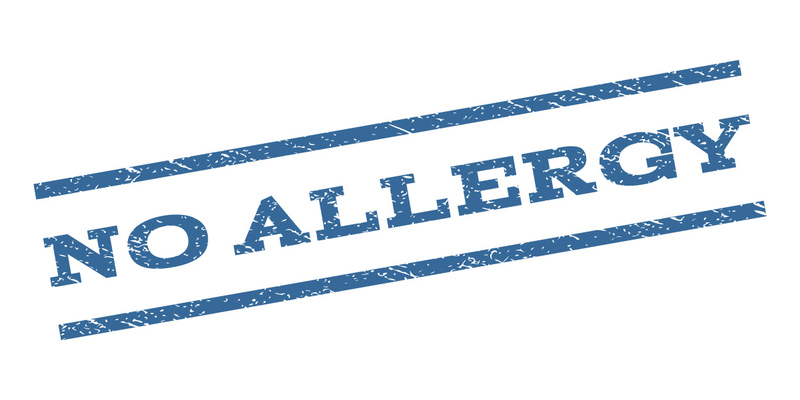 Another way to keep you allergies under control is to keep your office furniture clean. Be sure to perform additional cleaning if needed. Allergies are the most unpleasant, uncomfortable things. Fortunately, there are several ways and tips that help to decrease the level of dust, dirt and germs that cause allergies. As for the cleaning, if you have allergies and you cannot clean your office or house; our crew will surely help you with this. Most cleaning companies are willing to tie their clients into contracts. Doing so provides important protection for cleaning provider as well as your business. Signing a contract can give you confidence in the job done by cleaning provider. It’s much easier to keep up with whether or not the work is being performed the way that it should be done when the service, payment and other details are formalized in a contract. This also helps to determine if additional services may be needed. So, signing a contract has pluses for both, the cleaning company and the office owner. One more advantage is that oftentimes cleaning companies offer diferrent discounts for their regular clients. If you hire cleaning company on a regular basis, you automatically get on the right side of a company. In most cases, commercial cleaning companies offer their customers a standard service contract. Nevertheless, you should carefully review a proposed contract to make sure that it accurately reflects your needs and that all cleaning services that you need the cleaning company to perform are included. If additional services need to be added or you prefer to make some other changes, feel free to discuss these changes with the official representative of the cleaning company. It’s very important to feel comfortable with the company you choose to do business with. Even more better is to realize that your cleaning requirements are met professionally. There is no doubt it’s better to spell out all the details and specifics of the agreement in a formal contract. But it’s up to you whether you want to be tied to a contract or not. There are plenty of cleaning companies that don’t require to sign a contract. As trust is essential to the relationship you shoud have confidence in the company you hire. Its stuff will be spending a good bit of time in your office, most likely after hours. That’s why it’s better to check company’s references prior to selecting your cleaning provider. Do a little research, then you will have enough information to make the right choice that will fit all of your needs. There is no doubt you, your clients and employees benefit from a clean environment. Clean workplace boosts the productivity of your stuff. It helps work better and faster. Hiring a professional cleaning company will definitely save you time and money. Your employees will not be distracted by some details related to office cleanliness and its maintenance. You will win if your workers will concentrate on their work instead of cleaning tasks. Looking for a cleaning company shouldn’t be overwhelming process. There must be some person in your office, office manager for example, who will be responsible for finding a cleaning provider. This person should do some small research in the Internet. Plenty of cleaning companies will be found there. The office manager need to visit different websites and compare the services and prices of these companies. Then, he or she should read the feedbacks and ask for references. Spending some time on comparison will help decide which service provider suits your company best. As cleaning services should fit into your budget constraints, it would be better if the cleaning services will be worked into the financial plan of your company. This will help you spend on cleaning exactly the planned amount of money. You can choose how often you want the cleaning services to be performed in your office. Almost all cleaning companies offer very flexible cleaning services to fully satisfy the needs of their clients. They offer their services on daily, weekly, bi-weekly, monthly basis. You can choose the cleaning package that best suits your company’s needs. There are plenty of cleaning companies that will gladly offer you variety of commercial cleaning services tailored to your needs and special requirements. Before hiring an office cleaning company consider your needs and your budget. Decide how often you want the cleaning to be performed, and how much money are you ready to spend on it. Also, you should determine when do you want the cleaning to start. Some cleaning companies require that you sing a contract with them while others don’t. It’s essential to find out what you needs are! Try to clearly outline your needs and expectations. Consider the size of your office, the tasks that need to be perforrrrmed. Depending on the size of your company, you could need a little help as maintaining a clutter-free office or much larger projects like post-constraction cleanup. If you have a small business of 20 people or less, probably it’s better to look for a smaller professional cleaning company that will pay more attention to you as an individual. However, if you’re running a big project, look for a larger company that has enough services to fit your every need. Find a savvy cleaning provider that will cater to all your requirements and fit your needs as well as your budget. Hire a professional cleaning company to handle cleaning duties for you. We hope our tips will help you decide which cleaning company is best for you business.